TeslaTesla is ramping up hiring. According to the data analysis site Thinknum, Tesla increased the number of open listings on the “careers” section of its website by 23.5% between July 1 and August 4. Tesla‘s website lists job openings at its upcoming Gigafactory in Shanghai, where it plans to eventually produce around 500,000 vehicles and battery packs per year. At the beginning of June, Tesla laid off around 9% of its employees as part of its effort to become profitable in the second half of this year. Tesla appears to be rapidly increasing its rate of hiring, including for its upcoming factory in Shanghai, two months after laying off around 9% of its employees. According to the data analysis site Thinknum, Tesla increased the number of open listings on the “careers” section of its website by 23.5%, from 1,662 openings to 2,053, between July 1 and August 4. 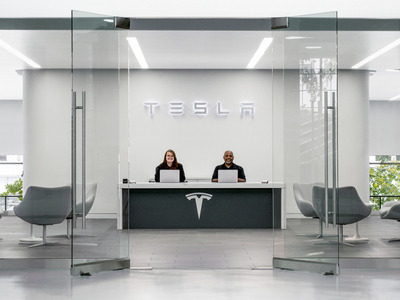 As of August 4, the company had the largest number of openings, 164, at the Fremont, California, factory where it makes its vehicles, followed by its Palo Alto headquarters, with 157 openings, and its Sparks, Nevada, Gigafactory, where it makes batteries and powertrains, with 100 openings. Tesla’s website also lists job openings at its upcoming Gigafactory in Shanghai, where it plans to eventually produce around 500,000 vehicles and battery packs per year. In its second-quarter earnings letter, the company said it expects to begin construction “within the next few quarters,” and start production around 2021. As of Thursday afternoon, Tesla’s website listed 22 job openings in Shanghai, with 16 of those openings located at the upcoming Gigafactory. The openings include engineering and senior-level management positions, among others. Tesla declined to comment on its current or future hiring plans. At the beginning of June, Tesla laid off around 9% of its workforce. In an email to employees, CEO Elon Musk said the layoffs were part of the company’s effort to become profitable. “What drives us is our mission to accelerate the world’s transition to sustainable, clean energy, but we will never achieve that mission unless we eventually demonstrate that we can be sustainably profitable,” he said. Tesla reported an adjusted loss per share of $US3.06 for the second quarter, which was larger than what analysts had predicted, and revenue of $US4 billion, which beat analyst projections. Its negative free cash flow during the quarter, $US740 million, was lower than analysts expected. The company said it expects to be profitable during the second half of this year. “Going forward, we believe Tesla can achieve sustained quarterly profits, absent a severe force majeure or economic downturn, while continuing to grow at a rapid pace,” the company said. But nearly two days later, it’s unclear where that funding will come from. Tesla has yet to submit any regulatory filings that provide more detail into Musk’s proposal, and on Wednesday The Wall Street Journal reported that the Securities and Exchange Commission made an inquiry into Tesla about whether one of Musk’s tweets regarding the possibility of taking the company private was truthful.